Earlier this term, I shared a #FridayFact about email in the workplace. For our #infographicInspiration this week, I’m returning to email by sharing a simple image that identifies key characteristics of effective email messages. The website’s name is a little off-color, but the information clearly and concisely outlines specific ways to improve your email messages. 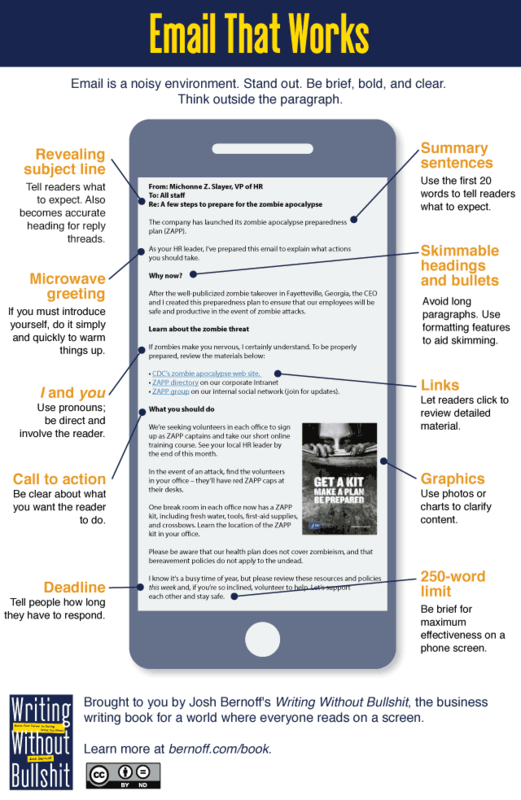 Read more information about the infographic in the article 10 tips for effective email. Next post: #FridayFact: The Workplace Hates Exclamation Points!! !